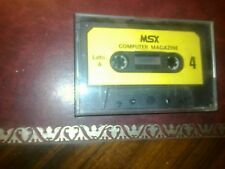 Home » Forum » MSX Talk » Development » Unable to download msx-basic5. I can not download the latest version of the program!! I'm a little tired, but I'm happy with my programs made with SJASM and Wbass2. 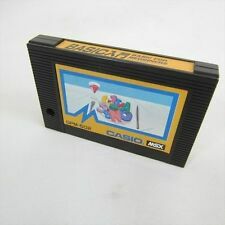 Now I want to try MSX-BASIC5. Is there anyone who answers this question? The problem is not this: in the old version there are no applications on the desktop. And then it's not saved or loaded. On the video there are the icons and you also save the file. See top left? There are icons while our version is not there! Although I'm not interested in my question, anyway I'll have to arrange to go without the MSXBASIC5 application. 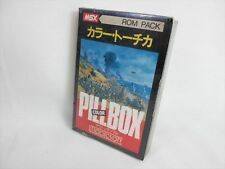 Does it seem to me that your MSXBASIC5 software has been removed for copyright reasons? However I can't wait much longer !! v9978 and v9958 are useful for programming games and sprites, but everything else is useless. I think the msxbasic5 program is dedicated for MSXVR. But why did you remove msxbasic5 per window ? 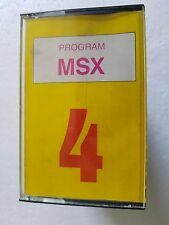 In your forum, can't you put the MSXBASIC.EXE file in the this download of msx.org ? We hope they listen to our post. It is impossible to continue because I removed the msxbasic5 not update! So you need to get the MSXBASIC5 app, right? In that case, I don't write anymore. DanySoft & MSXBASIC 3 & CALL functions.